This place requires no introduction. Everyone I know has been here at least once, either in Sydney, Singapore, Taiwan, Shanghai or Hong Kong. I have been to the one in Sydney numerous times (read review here), (as well as Singapore, Taiwan and Shanghai), and have wanted to try the one in Hong Kong for a while now. They recently opened a branch in Causeway Bay (‘CWB’), thankfully, not that Tsim Sha Tsui (‘TST’) is far, but CWB is definitely closer! We got there at about 8pm, and like all Din Tai Fung, you cannot make a reservation as it is first in best serve. Thankfully, we didn’t have to wait too long, 15 mins max, any longer and Hubby would have suggested we go somewhere else! The restaurant in CWB is quite big, so the turnover was quick. Whilst waiting, we were given menus so we can peruse and decide what we want. Once seated, we gave them our order and voila – all you have to do is just sit and wait for the food to arrive. The service is quite efficient, and waiters are tentative. 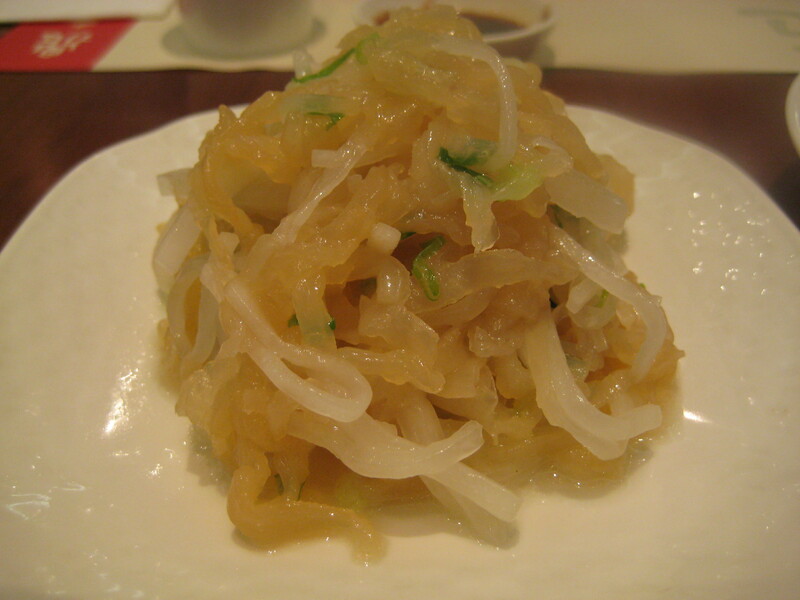 We started off with the jelly fish and cucumber. It was refreshing, light and absolutely delightful. Next came the drunken chicken – again this is another favourite of mine. 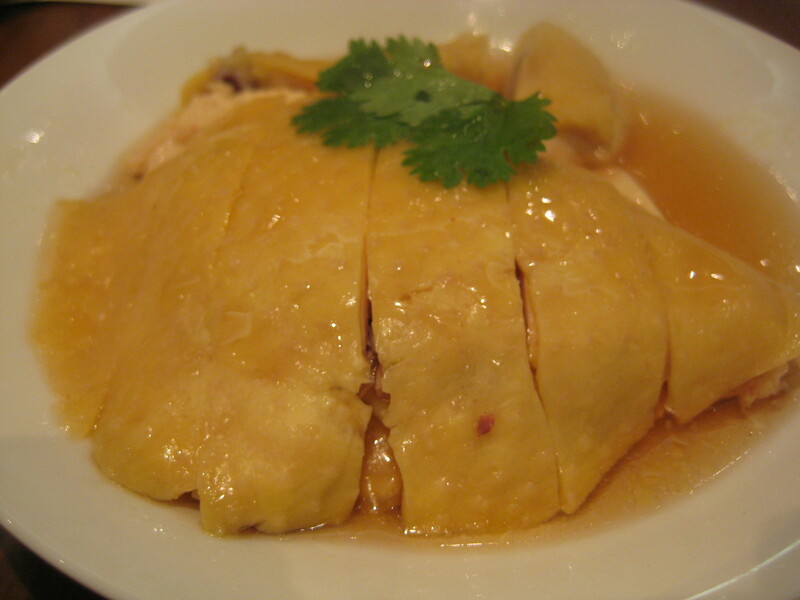 The chicken was cold, tender and infused with shao xing wine. We ordered two types of the xiao long bau. One of them is the normal xiao long bau, the other xiao long bau with crab. I personally prefer the normal xiao long bau, regardless, both types were absolutely incredibly tasty. 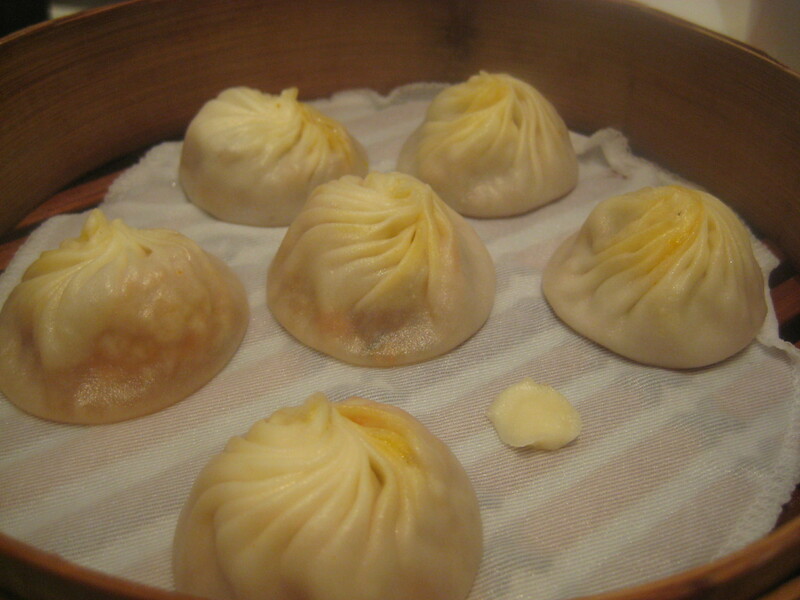 They were exactly the same as those in Sydney, Singapore, and Taiwan – you would expect them to be anyway, as each xiao long bau is made to measure – i.e. each skin and filling are measured hence each and every single one of them are the same. Lastly, a serve of vegetables. I didn’t take a photo of this, however, it was delicious and a perfect way to end the meal. 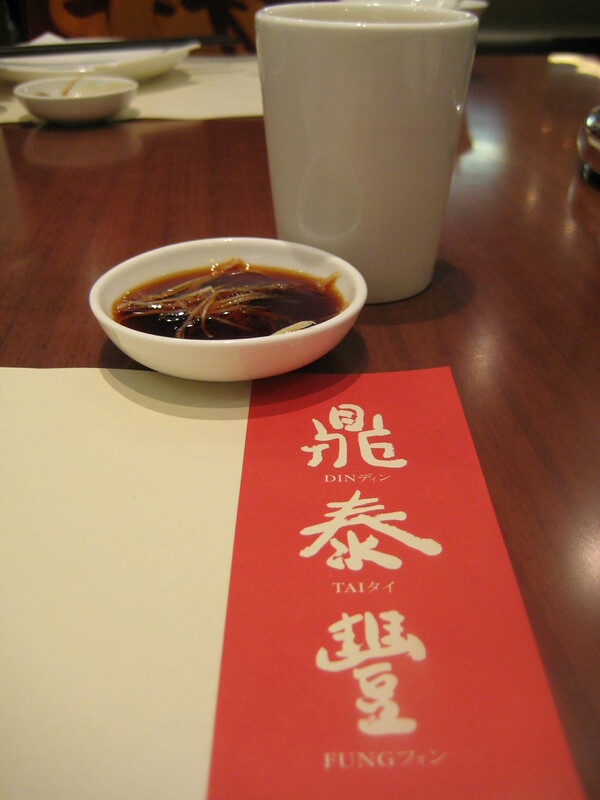 Hubby and I always enjoy eating at Din Tai Fung – you know what to expect and standard is consistent. I was a little disappointed that they didn’t have the tofu with thousand year old egg – I was craving for that. Oh wells… it was still an enjoyable meal.